Oasis Big Grizzly Cot is a very long, easy to use, and reliable cot suitable for tall people, for camping and to be used as a spare bed at home. TravelChair SleepTite Cot is nicely packable and lightweight enough to be carried in the backpack, easy to use and reliable. This Niceway Ultralight Portable Camping Cot is lightweight enough to be carried in the backpack and it is also with a great weight capacity. 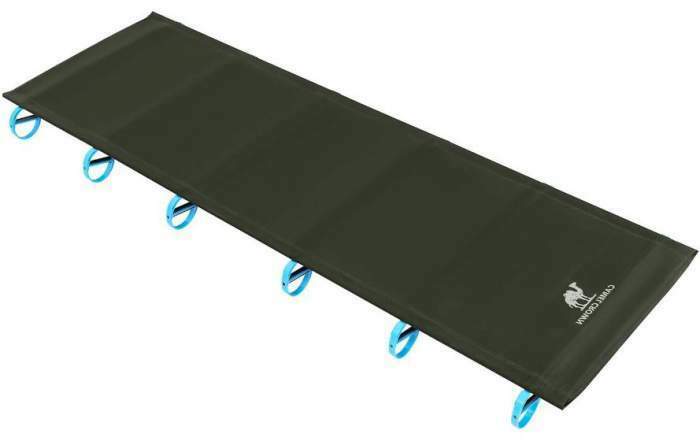 Niceway Ultralight Portable Camping Cot. Serta EZ Bed Queen Size is very large and soft, equipped with a Never Flat Pump to maintain the pressure, plus a primary pump for inflation and deflation. Serta EZ Bed Queen Size. Insta-Bed Ez Queen Raised Air Mattress with NeverFlat pump is an incredibly comfortable air bed with two electric pumps and an elegant carry bag. Insta-Bed Ez Queen Raised Air Mattress with NeverFlat pump. Eureka! 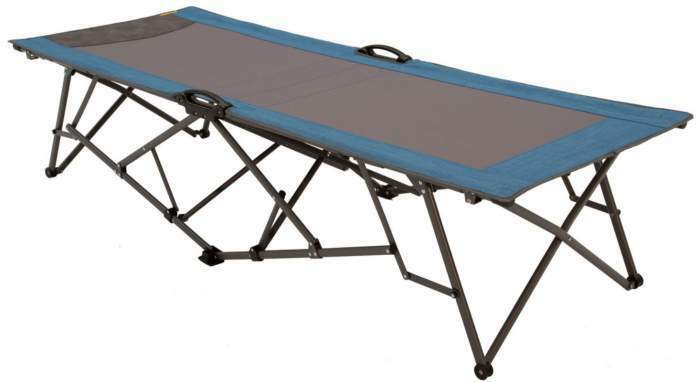 Quick Set Camping Cot is a very long and instant setup cot with a steel frame and a carry bag included. Eureka! 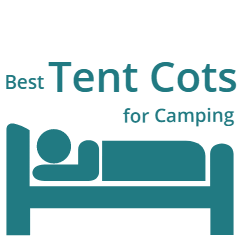 Quick Set Camping Cot. With its 2.6 lb (1.18 kg), the Desert Walker Camping Cot is currently the lightest camping cot on the market, yet with 440 lb (200 kg) capacity. Desert Walker Camping Cot .